The experience of attending ESSMA’s annual summit in Dublin, Ireland is not only an experience I will never forget, but also one that I feel will be invaluable to my development as a professional. Without my participation in the FBA program this would be an opportunity much more difficult to come by. So, first off, I owe it to both The FBA and ESSMA for creating this partnership which allows for young aspiring professionals, like myself, to have such an unbelievable learning experience. 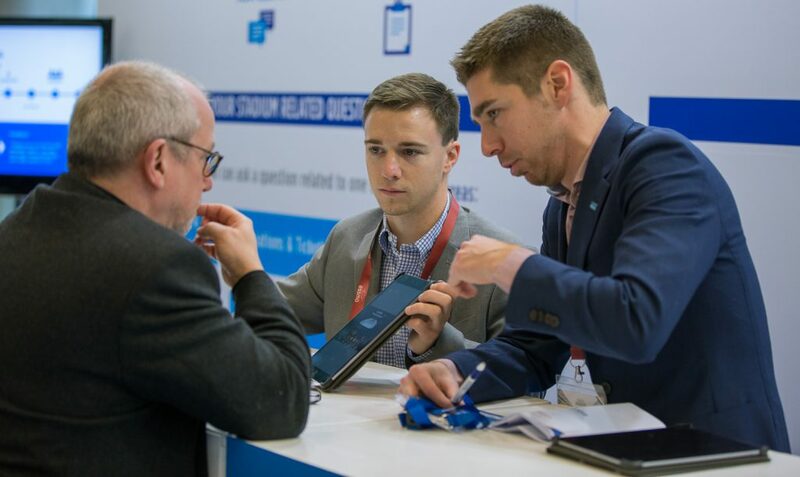 For those unfamiliar, the European Stadium & Safety Management Association (ESSMA) is an organization that aims to bring together stadium professionals for the sharing of ideas and provide a platform that allows experts across the industry to learn from one another. The two day event held January 16th and 17th at Aviva Stadium was the annual summit and consisted of over 350 participants and 20 speakers. Topics of discussion were related to ESSMA’s areas of expertise which include Stadium Development & Construction, Sustainability & Smart Stadiums, Operations & Ticketing, Safety & Security, Fan Entertainment & Hospitality and Pitch Management. journey in the unbelievable setting that is Aviva Stadium. The awe quickly subsided as we all spent a vast majority of the final day leading up to the event ensuring every last detail was covered. This day concluded with a wonderful dinner at Aviva Stadium that consisted of ESSMA Executive Committee members and those that would be speaking at the event. This was my first introduction to the caliber of industry experts that make the event such an incredibly learning and networking experience for which it is known. Day one of the summit kicked off with tours of Aviva Stadium which allowed delegates to familiarize themselves with the environment in which they would be spending the next two days. The networking lunch that followed allowed time for myself, and other attendees, to meet and discuss topics of interest. For a young individual like myself this was an important time to step out of my comfort zone and learn, on a more personal level, from the vast knowledge and experience of all the individuals in attendance. From there it was time to hear from the keynote speakers. Topics included Stadium Lifecycle, Matchday Operations, and Fan Journey. All interesting and important topics related to the stadium industry. Each provided valuable content for myself and others to take home and share with others. The first day concluded with a dinner at Aviva Stadium, another opportunity to network, and a must have while in Ireland – a Guinness. The second day of the summit consisted of more topic specific seminars which dove deeper into the previous mentioned ESSMA areas of expertise. My area of interest was in Stadium Development and I spent my day listening to a handful of experts discuss this topic in great detail. One of the benefits of attending this event is the level and variety of speakers that are on display. The speakers for the Stadium Development seminar ranged from the Head of Tampa Bay Sports Authority, who operate three professional sport venues in Tampa, Florida to a Project Manager from Section Paloise, a small rugby club in France, who recently renovated their venue. During this seminar I had the opportunity to hear the Senior Manager of Qatar’s Supreme Committee of Delivery & Legacy give a presentation on the stadiums to be used for the 2022 FIFA World Cup. A wonderful presentation that illustrated the attention to detail used to ensure that it will not only be a tournament to remember but also that each stadium will leave behind a proper legacy. It is no secret that Qatar does not have the need for eight stadiums beyond the FIFA World Cup in 2022, so it was interesting and eye opening to see how each venue was carefully planned and developed for life beyond the tournament. This is just an example of one of the many learning experiences I had while attending 2018 ESSMA Summit. Attending ESSMA’s Annual Summit was an unbelievable learning experience, and one I hope to continue in the coming years. I left Dublin with great satisfaction. More importantly, accompanying this satisfaction was an eagerness to continue to learn more. 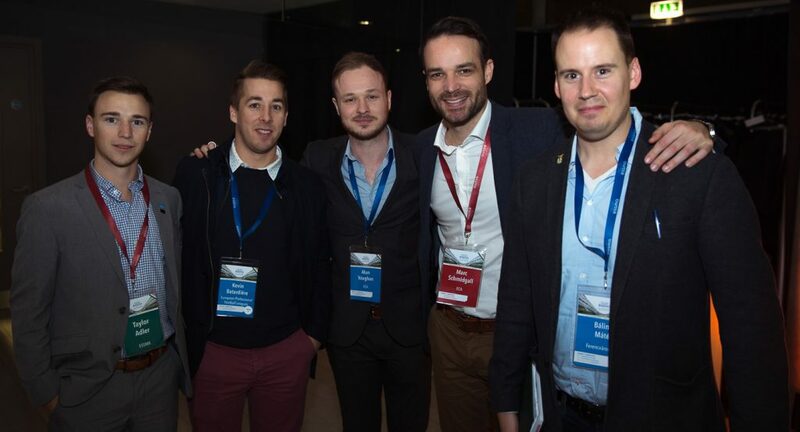 As advertised, the ESSMA summit provided me with a platform to learn and network with experts from across the stadium industry and, ultimately, an experience I can use to continue to grow as an individual and professional. Taylor Adler is a Candidate of The FBA’s Professional Master in Football Business, expected to graduate in August 2018. He can be contacted via LinkedIn.